Safety while on the road is the primary focus of android phone apps like SMS Reader and Can't Text. 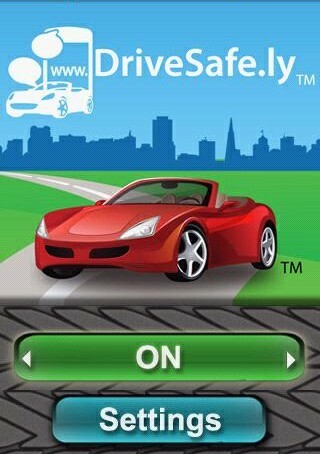 Another similar software is the DriveSafe.ly. It is mobile app for Android and Blackberry that reads text (SMS) messages and emails aloud in real time. Its usage is very simple, just run the application, tap the "OFF" button and it will switch to "ON" and turn green. When the button displays "ON", any incoming SMS and email will be read out loud w/o touching the phone. Tap the "ON" button to deactivate the application. It also includes an auto-responder which you can set your phone to respond a predefined message whenever it is activated. You can also buy the premium version for only $13.95 a year. Premium version allows voice-to-text translation so you can respond verbally to your text messages and emails. It works on Android and Blackberry. I tested it on my Sony-Ericsson Xperia 10.